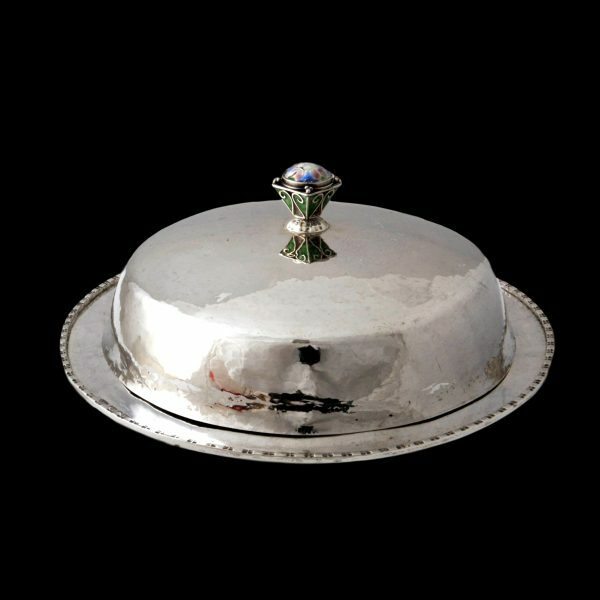 For sale is this very unusal silver dish with enamelled finial by a little known woman silversmith and jeweller Susannah Mary (Molly) Challoner. 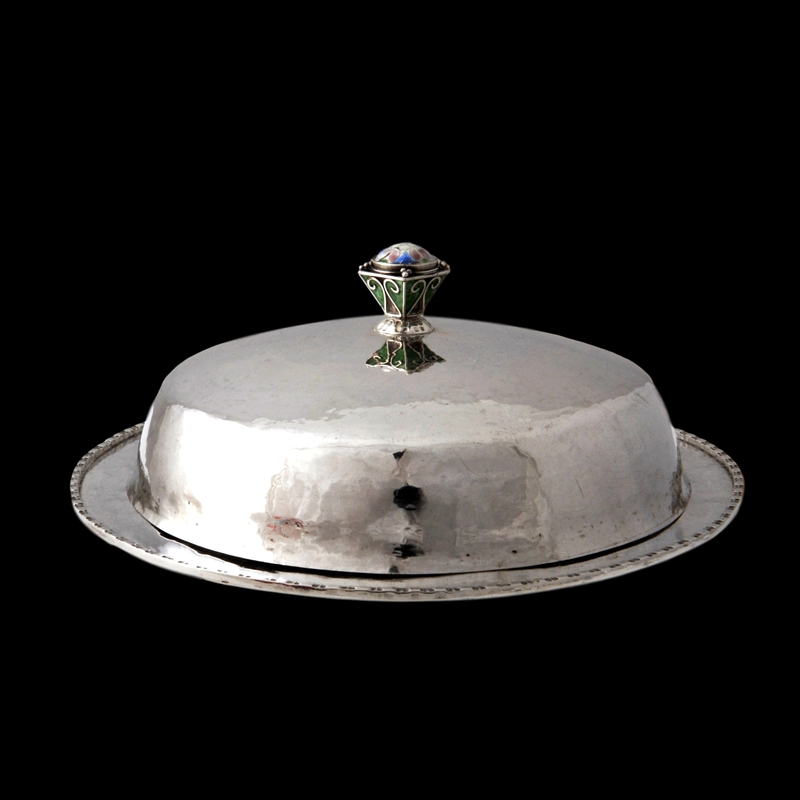 The dish’s base is augmented with an impressed geoemtric design to the surround and the lid finial is set with green enamel to the base and subtle cloisonne pink, blue and silver enamels to its top. 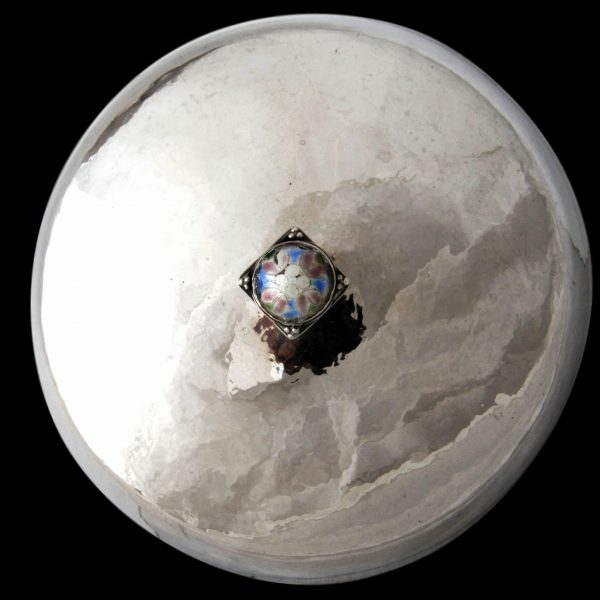 It is modern in its design for the period and in the style of the work by HG Murphy. Molly Challoner (1901-1990) was a Newcastle born and based jeweller and silversmith working from her family home 15 Framlington Place, Newcastle. 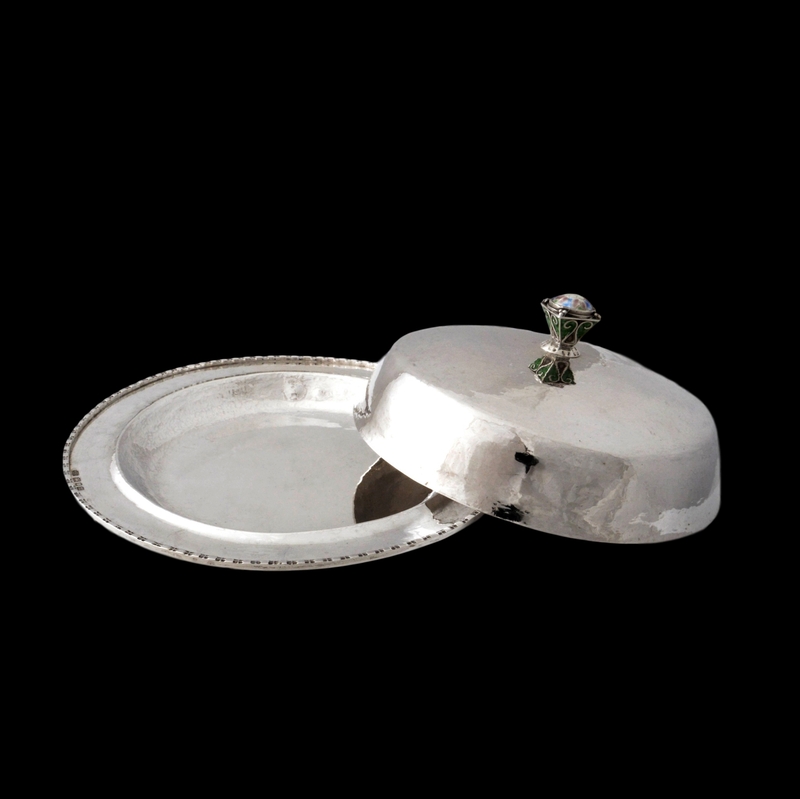 She exhibited jewellery and silver at both the 1926 and 1928 Arts and Crafts Society Exhibitions. Her work was exhibited in 1994 at a Brighton University exhibition “Women Designing: Redefining Design in Britain Between the Wars”. These same pieces are in the collection of the Goldsmith Hall. Besides this I can find no other examples of her work. 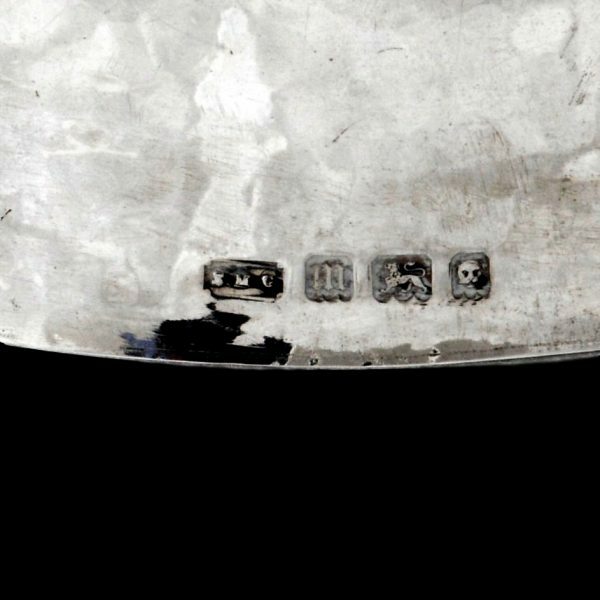 She registered her SMC mark at the London assay office in 1923 and appears to have reduced her work at the advent of the second world war, when she became a nurse and occupational therapist. After 1945 she contributed academically to the growing profession of occupational therapy and, based on the recent emergence of a thimble with her mark dated 1955, she did do some post war work. 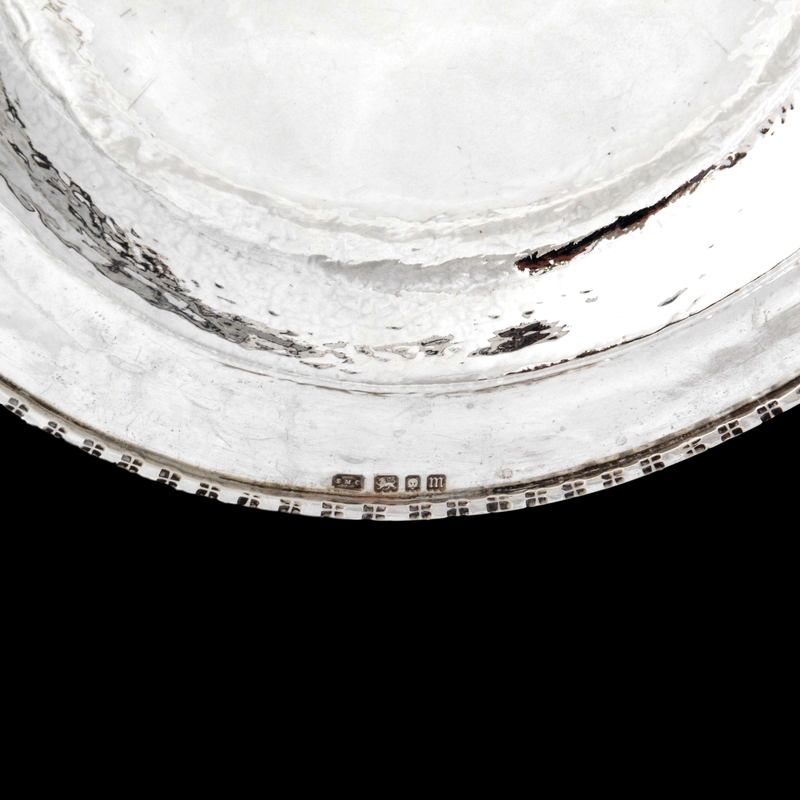 She died in 1990 and bequeathed a Gilbert Marks silver ewer, commissioned by her grandfather, to the Fitzwilliam Museum where it is still displayed.